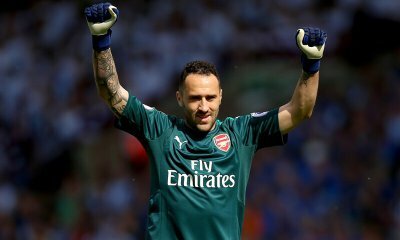 Arsenal Goalkeeper David Ospina is close to an exit from Arsenal according to news from Turkey. Turkish sport outlet Fanatik reveals that Ospina has agreed on a deal in principle with Besiktas and only few details remain to finalise the move. Ospina has been one of the casualties as a result of the Gunners increased transfer activities. The arrival of German stopper Bernd Leno has pushed the Colombian stopper to the third choice position. The Columbian international has been a faithful servant for the Gunners since his move from Nice in 2014 and it would be beneficial for both parties to end the 4 years association. It is believed a fee of £7 million is what Besiktas would pay for the Colombian stopper. Ospina had a good World Cup where he made strings of crucial saves for his country before exiting in the round of 16. He would be the third high profile exit after the departures of Santi Cazorla and Jack Wilshere. Ospina would not be sorely missed for as Petr Cech and Bernd Leno are a level above the Colombian international. Unai Emery has been able to stamp his authority in the Arsenal setup with no fewer than five signings brought in already as he seeks to return the Gunners back to the top four this season.